Compatible with Outlook 2016, 2013, 2010, 2007, etc. 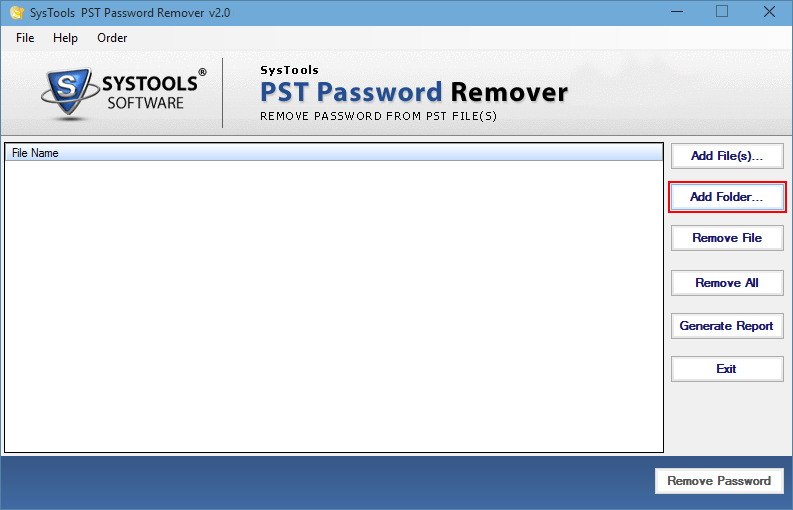 How PST Password Removal tool helps to remove forgotten Password from PST file? Does a pop box appear whenever you try to access your PST file in Outlook and ask password to input? Moreover, you even do not know its password but striving rigorously to make it accessible, then you need help and therefore PST Password Recovery comes in limelight. What PST file Unlocker does? 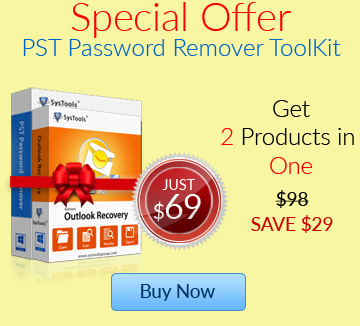 Installation of Outlook is not required to remove password from PST files, if a user is going to run PST password remover tool. PST unlocker can works independently without the installation of Outlook and can unlock PST files. Batch PST password removal is one of the promising technologies that helps user to decrypt PST password from numerous PST files. Just simply, select the PST file and hit on Remove All button to parse each PST file from encryption procedure. Once you browse the PST files which you might want to decrypt, PST password cracker tool will automatically strike-up the process of removing password from PST files whether its lengthy one or smaller one. It's always recommended to make the PST password unique and we use various terms to do so like allotting a password with combination of alphabet, special character, etc. Most of the times, this helps but can also create the fierce conditions when a user forget this combination. In such cases, Batch PST password remover works over password and break down it. The term forgotten is very common, because this happens with almost every odd user who is using Microsoft Outlook. When they forget PST file password of their Outlook, this PST file unlocker works on the PST file and remove the password from it. 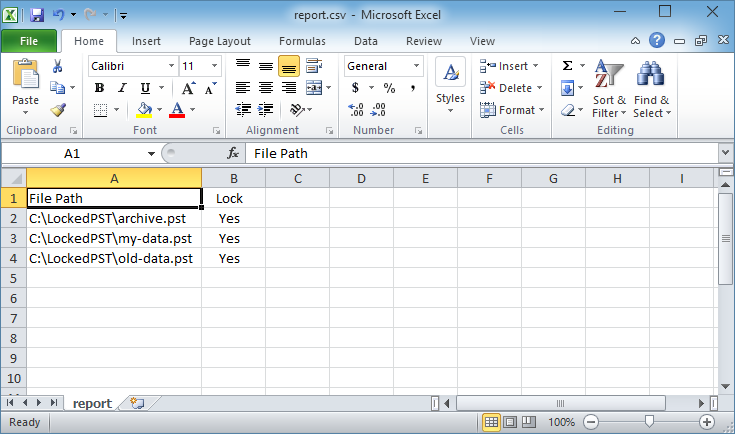 Our developers have not limited this application up to any specific version of MS-Outlook. Hence, it clearly defines that PST password removal can work on data file generated by any version of Microsoft Outlook: 2016, 2013, 2010, 2007, 2003, 2002 & 2000. PST Unlocker is compatible to almost every latest version of Windows operating systems. This range indulges the given windows platforms such as Windows XP, Windows vista, Windows 7, Windows 8 & 8.1. 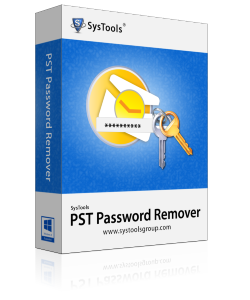 The most importantly term of every application is its GUI and we have done everything to revamped the graphical interface of PST password remover and transformed into simple and definite. Does PST password removal work on ANSI PST file too? Yes, it does. 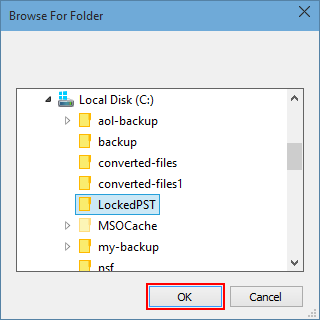 PST unlocker has the features to cope with encrypted ANSI PST file too. 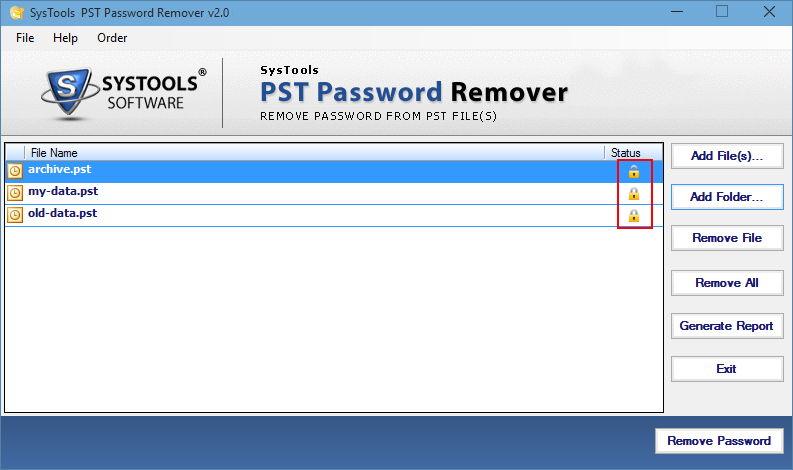 I am in doubt whether the PST password cracker tool works on original PST file or creates a copy of Outlook data file. PST password recovery bypasses the password from the original Outlook data file and then make it password free for further use. I am trying to unlock PST file using a conventional method (tool) called pst19upg.exe? Why it is not helping me to figure out the password issue? Be sure that the PST file you are using is ANSI or UNICODE because the tool that you have mentioned above only works on ANSI PST file. A few weeks back, I when opened my computer to access my Microsoft Outlook emails, the unresponsive behaviour baffled me and did not even allow me to open data file? Thanks PST Password Recovery for making it accessible. PST Password Remover has kicked up to notch to just deal with scenarios where running pst19upg.exe tool does not work and provide a facile way to remove password from multiple PST files simultaneously.